I’ve not come across Peter Rushworth before. Pinkerton’s Sister sounds intriguing. 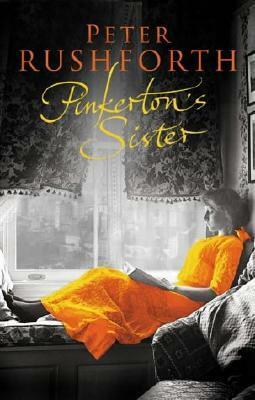 Pinkerton’s Sister is unlike any other book that I’ve read! if you read it it I’d love to know what you think of it. Oh, that is a shame! I didn’t keep my copy of Pinkerton’s Sister – but wish I had! A super chain, Margaret! 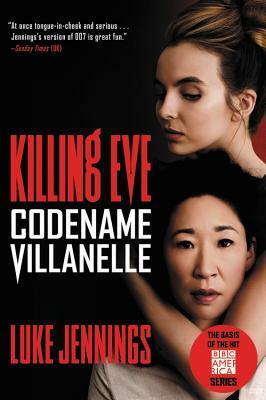 I really enjoyed the TV series of Killing Eve and don’t normally read books if I have already seen an adaptation. Do you think it would be worth a go in this case though? Thanks, Liz. I don’t know how much the TV series sticks to the books – but I think I’ll try it and if I do I’ll post my thoughts. I love how well you construct these chains. I too like the sound of Pinkerton’s Sister. Assume next month’s will be Christmassy… heavens, where has the year gone? Thanks, Cath. Yes, the year has flown by – Christmas feels really close now. I must read the Luke Jennings books! If you do please post your thoughts – I’d love to know if it’s anything like the TV series – which I think is fabulous. Great chain this month! 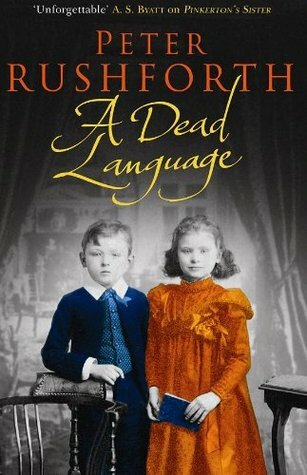 I haven’t heard of Peter Rushforth until now, but I’m intrigued by Pinkerton’s Sister. I really enjoyed Belinda Bauer’s first two books and need to catch up with her newer ones! Thanks, Helen – Pinkerton’s Sister is the book that introduced me to book blogs. 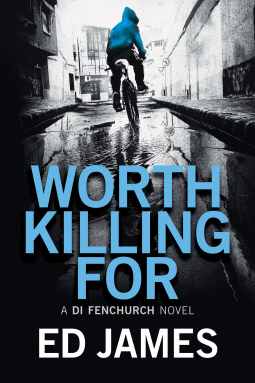 I wondered if anyone else had found it as fascinating as I did and found a blog review! 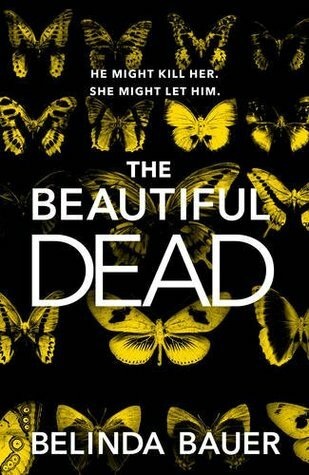 I love Belinda Bauer’s books – but haven’t read The Beautiful Dead yet. Your chain is so clever, Margaret! And such different sorts of books, too. 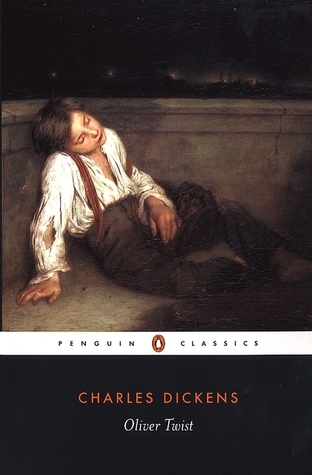 So interesting how it ended where it s tarted – with a classic novel about an orphan. Now, that takes skill! I like your full circle this month! I saw the BBC production of Vanity Fair years ago (maybe it was a series??) and I seemed to recall it being very good, but I understand what you say about having a mental picture of characters. Thanks, Kate – in September this year ITV broadcast Vanity Fair in seven episodes – I think there have been several series broadcast over the years. Thanks, WordandPeace – I hope you can now see my photo of my copy of Vanity Fair after the 2nd paragraph. It ‘must’ be a sign – hope you enjoy it. Haha, I ended up with a classic too, as you know, after a circuitous route. Until a few months ago I soul have said I hadn’t heard of any of the others, but we did watch Killing Eve and knew that it was based on novels. I’m getting less and less keen on psychopath stories, but this has an edge. Still, I think we would have given up if it hadn’t been for Sandra Oh. She was riveting. Yes, I thought Sandra Oh was riveting and Jodie Comer too – both of them were just brilliant. Yes, she was good too, I agree – but I was very sad to see the open ending. I think I’ve had enough and can’t imagine watching another series. Shows about psychopaths make me too tense. Some really unique works here! I did’t see this until now because my naughty email had filed your blog into the Spam folder (along with a good many others – I wonder if it caught me napping during my holidays!). What an unusual jump for the first link – well done – and sorry to hear that the Pinkerton brother book didn’t work as well. You’d think it would be a great story to tell! Oh you “have “ been clever with your links especially to get thar circle back to an orphan. My own attempts at this keep faltering.